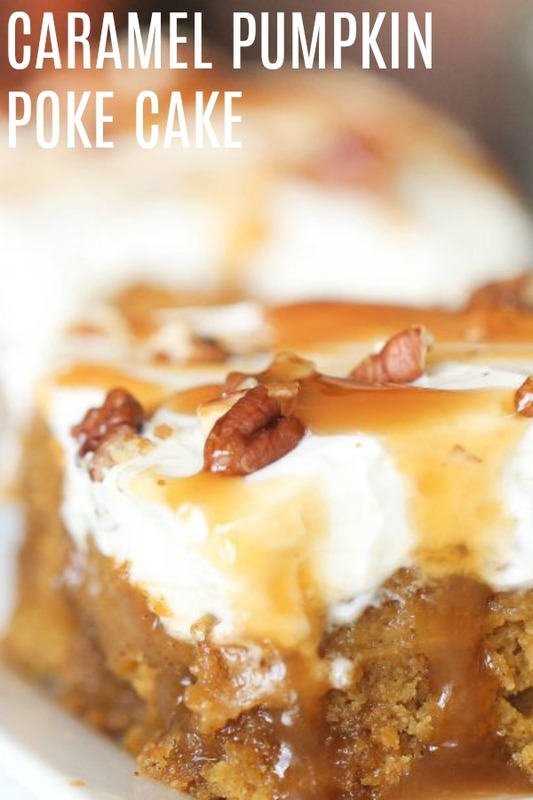 Nothing tastes more like fall than this delicious and simple, Caramel Pumpkin Poke Cake. The pumpkin spice flavor, combines with the sweet caramel and gives you a taste of the holidays. You need to try this. My husband has to work this year so we won’t be joining my sisters and parents for Thanksgiving this year. We are sad but we get to see them for Christmas (which is going to be AWESOME.) With that being said, there are NO RULES for our Thanksgiving dinner. My husband doesn’t love pie so instead I’m going to be making this Caramel Pumpkin Poke Cake for our Thanksgiving Dinner. (I love it even more than pie). If you have pie haters (or kids) coming to your Thanksgiving, I highly suggest making this. Your guests will go crazy for this recipe. Step 1: Preheat oven to 350°F and grease a 9 x 13 inch pan with non stick cooking spray. Step 2: In a mixing bowl, beat together the eggs, sugar, oil and pumpkin. Step 3: In a separate bowl, sift together the flour, baking powder, salt, baking soda, salt and cinnamon; add to the wet ingredients, mix throughly and pour into prepared pan. Step 4: Bake at 350° for 30 to 35 minutes. Step 5: Remove from oven and let it cool for about 10 minutes. Take a fork and pierce the hot cake all over. Step 6: Pour 3/4 of the jar a caramel into the holes. Try and spread it around as evenly as possible to every hole. Let it cool completely. Step 7: For the frosting, beat together the cream cheese and powdered sugar until smooth. Step 8: Fold in the cool whip until it is fully incorporated. Step 9: Evenly spread over the cake once it has cooled. Step 10: Sprinkle on chopped pecans. Drizzle a little of the leftover caramel on the top of the cake. Fresh pumpkin and canned pumpkin work a little differently. Fifteen ounces of canned pumpkin is just shy of 2 cups (16 ounces would be 2 cups). A 3-pound pumpkin (meant for pie) will likely give you enough puree for your recipe. Here are some good tips for using fresh pumpkin: Pumpkin math: After cooking and draining, this is about what to expect from a typical cooking pumpkin. 2-1/2 pound pie pumpkin = 1 3/4 cups puree 3 1/2 pound pie pumpkin = 2 1/2 cups puree 6 pound carving pumpkin = 2 3/4 cups puree 5 pound round pumpkin = 3 1/3 cups puree. 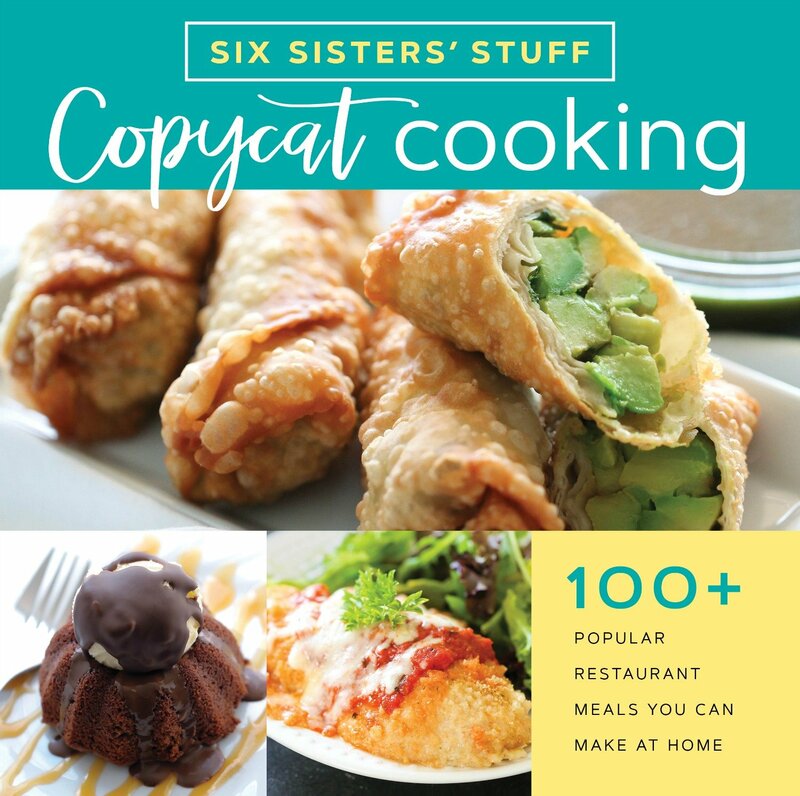 We have hundreds of delicious and easy recipes that your family is going to love. We take you through step by step and show you exactly how to make it. looking for more pumpkin desserts? Sift together the flour, baking powder, salt, baking soda, salt and cinnamon; add to wet ingredients, mix throughly and pour into prepared pan. Bake at 350° for 30 to 35 minutes. Remove from oven and let it cool for about 10 minutes. Take a fork and pierce the hot cake all over. Then pour 3/4 of the jar a caramel into the holes. Try and spread it around as evenly as possible. Let it cool completely. For the frosting: beat together the cream cheese and powdered sugar until smooth, then stir in the cool whip until all is blended well. Evenly spread over the cake once it has cooled. Then sprinkle on chopped pecans. Serve with a little drizzle of caramel on the top of the cake. This looks yummy, but is there anotherfrosting without cool whip, or could you substitute real whipped cream? Thanks. My 13 year old daughter made this cake for our Thanksgiving meal. It was moist, delicious, and excellent! It will definitely be made again! The best pumpkin cake ever!!! Everybody loved it! How much sugar is it supposed to be? When I pull up the recipe, it shows a question mark in the middle of where the sugar measurement is. Sorry about that! It's 1 2/3 cups sugar. We fixed the recipe. Thanks for bringing that to our attention. Can you use this for cupcakes? If so, would anything change? Hi Heather. We have not made these into cupcakes, but it should work fine. You will need to watch them closely for the length of cooking time will probably be reduced. Let us know how they turn out!! I made this last night, cooked it for 30 minutes and it was still not set in the middle. Any idea what went wrong? We have not had a problem with this cake not setting up in the middle. I'm not sure what could have gone wrong. Lindsey I am having the same problem I just went to take it out and its completely raw in the middle and I followed the recipe exactly. For the frosting do you actually beat the cool whip with the cream cheese and powdered sugar?. Don't fold it in later?. We have done it both ways. You can beat together the cream cheese and powdered sugar and after it is blended together well, beat in the cool whip. My mom and I have both made this and its raw in the middle :( Looks so yummy. If I want to make it with fresh pumpkin what is the amount of mushed pumpkin I should use ? Made this pumpkin poke cake for my husbands birthday party and it was too good to be true! I baked the cake for 25 minutes and it was thoroughly baked. Everyone loved it!!! I will definitely be making this again!! !